On Friday, emerging copper-gold exploration company, Kalamazoo Resources Limited (ASX: KZR) reported an updated JORC Code 2012 Mineral Resource estimate from its A-Zone gold project deposit. 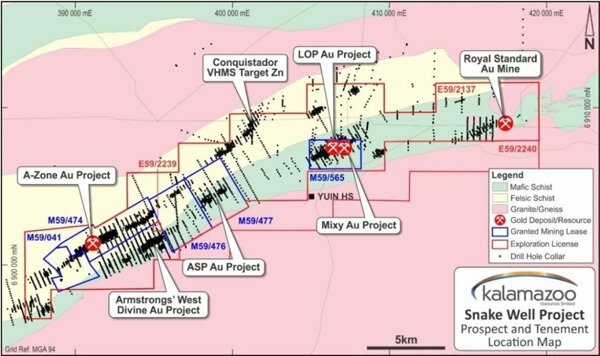 This follows the completion of a maiden drilling program at the project undertaken and fully-funded by Minjar Gold Pty Ltd. Minjar completed a maiden 75-hole Reverse Circulation and diamond drilling program for 3,375 metres at A-Zone, which forms part of Kalamazoo’s wholly-owned Snake Well Gold Project located about 450 kilometres north of Perth in the Mid-West region. This drilling tested the spatial location of the gold mineralised lodes and general grade ranges previously indicated by historical drilling. These drilling results have been used by KZR to upgrade the Mineral Resource estimate at A-Zone. It should be noted here that KZR is an early stage play and investors should seek professional financial advice if considering this stock for their portfolio. It is important to note that the Mineral Resource was limited to the upper 100 metres of the deposit, which is expected to be a reasonable depth limit for consideration of economic open pit mining. Also, copper, lead, zinc and silver mineralisation has been identified, but this was not taken into account in establishing the updated mineral resource estimate. The upgraded mineral resource is as follows, and features a 30% increase in grade and a 15% decrease in tonnages for a total increase in contained metal of 9%. Importantly, the mineral resource estimate has been upgraded with more than 73% in the indicated category. The A-Zone gold deposit is part of the Snake Well Gold Project which is located within the Murchison Province with the A-Zone deposit located on tenement M59/474 at the western end of the Snake Well Project as indicated below. 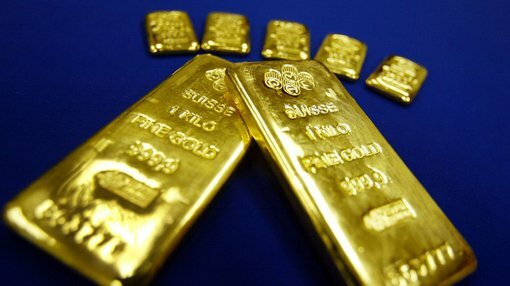 Several phases of drilling and metallurgical test work were completed by various parties between 1980 and 2000 which showed promising gold recoveries in the oxidised portions of the resource. However, there was also elevated copper, lead, zinc and silver mineralisation hosted within quartz veined pyritic quartz-sericite schists at A-Zone, interpreted to be of felsic origin and possibly of VHMS association. Gold is the only metal estimated in the resource update, but management believes the potential for a gold and base metal project needs to be investigated. On this note, the Conquistador zinc project is located along strike and approximately 15 kilometres to the north-east of the A-Zone deposit. Commenting on KZR’s upcoming exploration strategy in relation to this deposit, management said that the significance of the base metals in the A-Zone transition and fresh zones, and the interpreted association with the VHMS deposits, a review of the Conquistador deposit has commenced with a view to determining its potential. This will incorporate designing a program of work and investigating the regional base metals relationship with the A-Zone.